Hi, i recently installed Project Ozone 2 and wanted to add the AutoPackager to it, i installed it but when i load the modpack it just doesnt't list it in the item list or mod list on the actual minecraft client, however it still says its installed on the twitch app mod pack mod list. Am i doing something wrong or is there another mod in the project ozone 2 which is making it not work. I looked for the "progression mod" but i couldnt find it in the list any ideas? If it doesn't show up in game, it isn't actually installed. Is there a possibility to add a 1x1 mode? this would help with going from botania flowers, to petals. If not, does anyone know a way to do that without this mod? This doesn't pull items out of the chest regardless of orientation on skyfactory 2.4 from the ATlauncher. Maybe read before you ask? Hey, I noticed a bug where 3x3 hollow mode uses 9 materials when it should use 8. Is this only my problem? I have a problem with the autopackage. 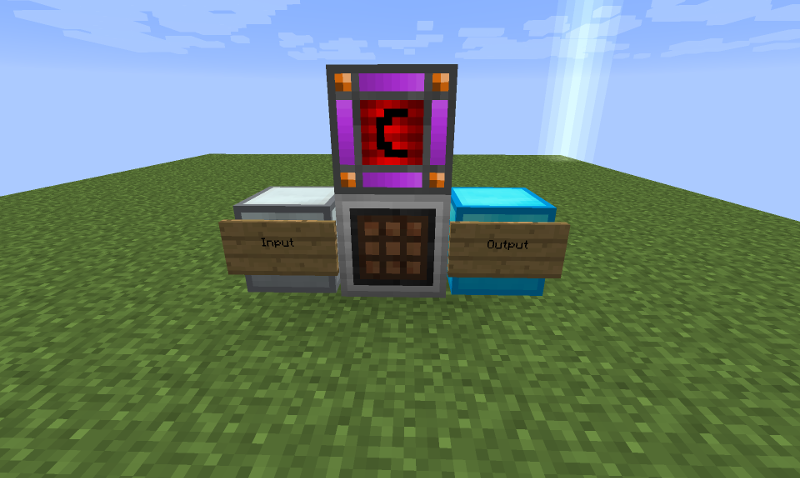 None of the items im putting into the input chest, will not be combined into blocks. If you are using a modpack that has the Progression mod in it, that could be your issue. That mod completely destroys the recipe list so the AutoPackager is unable to find matching recipes. JABBA doesn't have an auto crafting system (and this does work with barrels). Suhweet .. it works with BetterChests! Theres a MASSIVE memory leak when using 2x2 then 3x3 mode with items in chest that has 2x2 only and no 3x3. the problem is the guy who coded the 2x2 to 3x3 needs to add in null check for 2x2 and 3x3 and skip that part. You'll have to provide more detail than that. I am unable to replicate any memory leaks. Anecdotal evidence without data doesn't help. It took forever to figure out what was killing our server and it was this. the lag had been 3-4,000 ms before removing it, and completely negliable after. Although I like the idea I had to remove this from our server because it was causing MASSIVE lag (~4-5 seconds per operation) with only 1 packager active. It even says so in the post, but here you go.